It’s always interesting to note how my savings strategies have changed since I started this blog 10 years ago (whoa!!!). Back then clipping coupons from the Sunday insert and hitting up multiple stores was THE way to go. Occasionally we’d see some awesome printable coupons, but digital savings apps weren’t even close to being a “thing”. 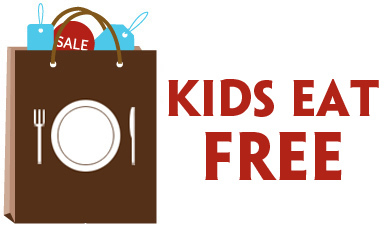 But I ALWAYS have my phone with me — so, for example, if I need to drop by Kroger to pick up a few items for dinner, I can quickly scan and clip their instant savings coupons in the Kroger app in the parking lot before I shop. Which is exactly what I did this morning after getting my kids off to school! As one of my older boys was getting out of the car, he mentioned that he was running low on deodorant. So after I pulled into Kroger, I quickly checked to see if there were any coupons available. 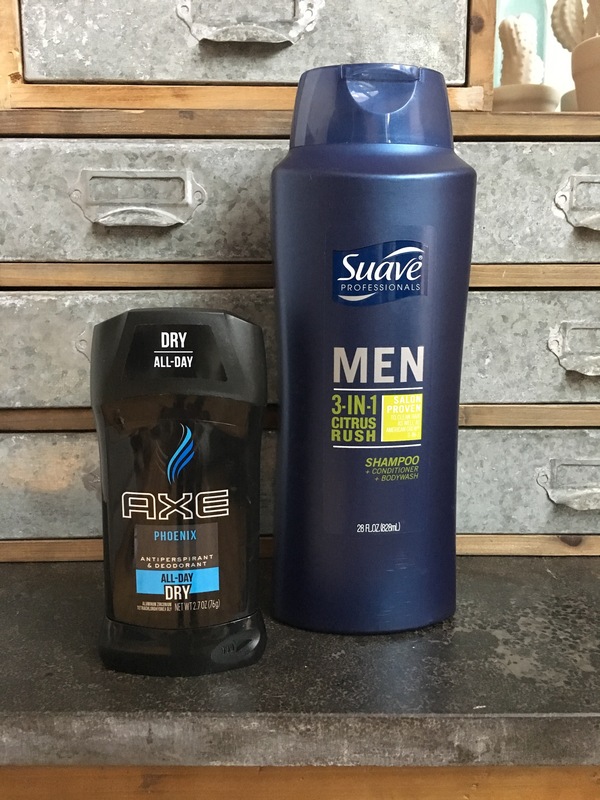 Luckily, there’s a $0.50/1 AXE Antiperspirant/Deodorant Stick or Body Spray digital coupon available right now, so I was able to clip that and added the deodorant to my list. While I was grabbing the deodorant, I happened to notice that the Suave Men’s hair products were all on sale. 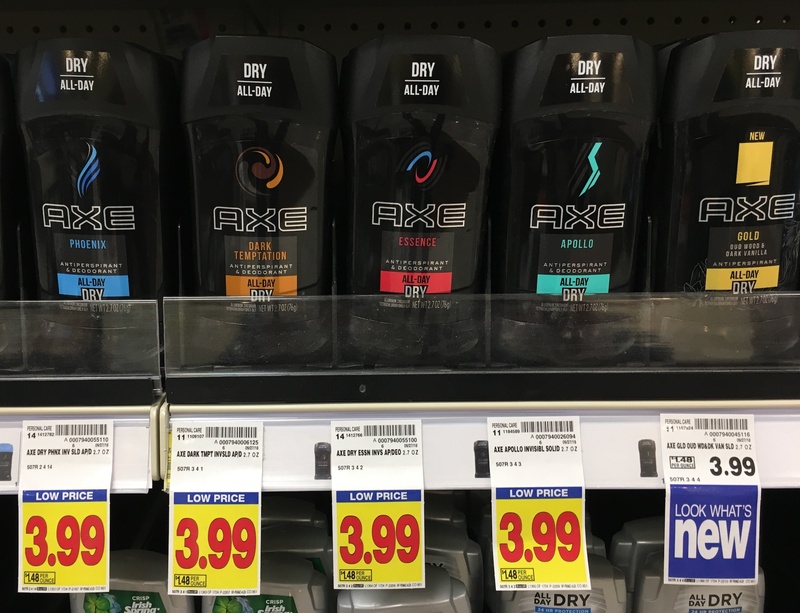 While my boys love AXE products, they also seem to go through shampoo and body wash like water. You can’t beat Suave’s prices, so I often rotate between the two brands to stay within our budget. This giant 28-oz. 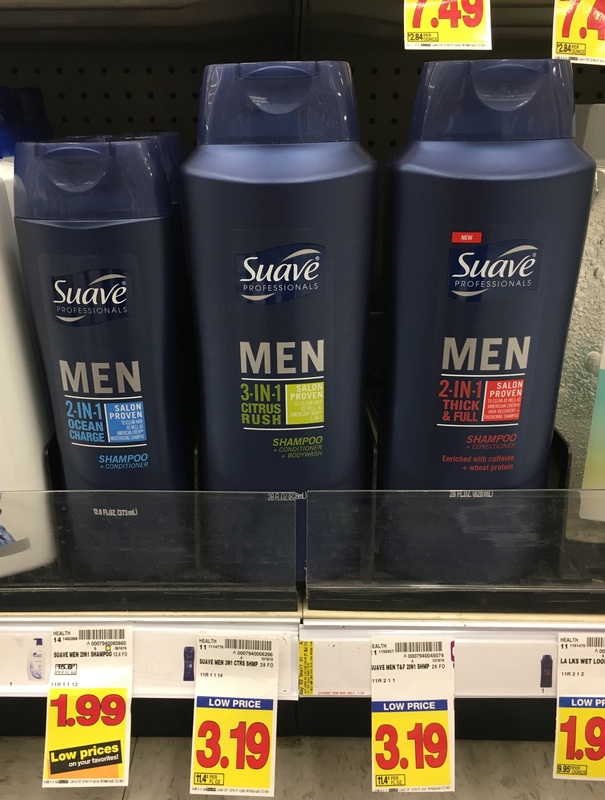 Suave 3-in-1 Shampoo/Conditioner/Body Wash is only $2.69 after the Kroger digital coupon! And the smaller Ocean Charge Shampoo/Conditioner pictured would be just $1.49! as low as $1.49 after digital coupon! 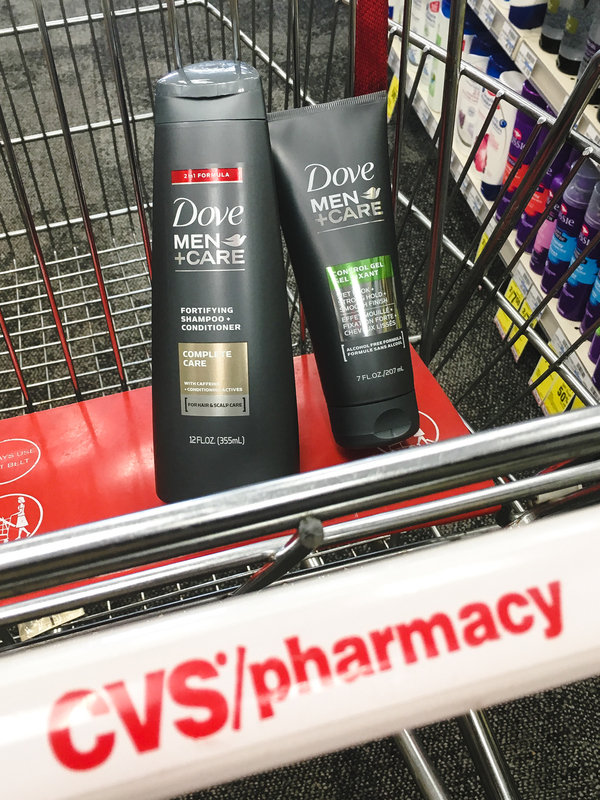 If Dove Men+Care is your brand of choice, you’ll definitely want to check this out! 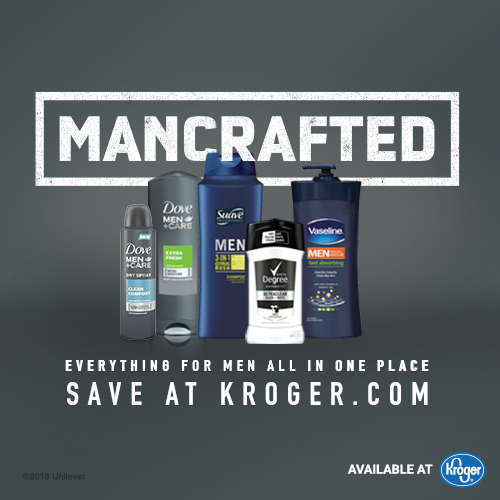 Get “Mancrafted” with digital savings on your favorite men’s personal care products at Kroger! 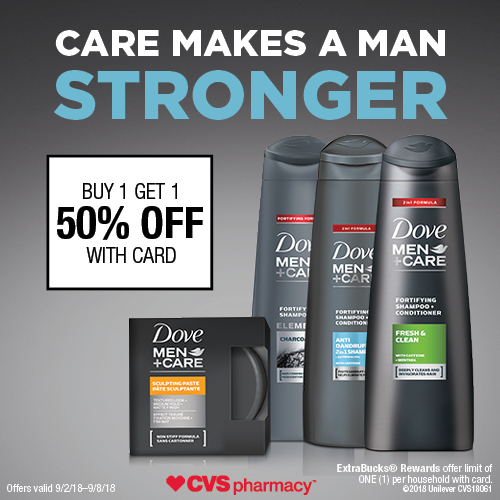 Love Dove Men+Care products? Then you’ll want to get to CVS this week for their BOGO 50% off sale! 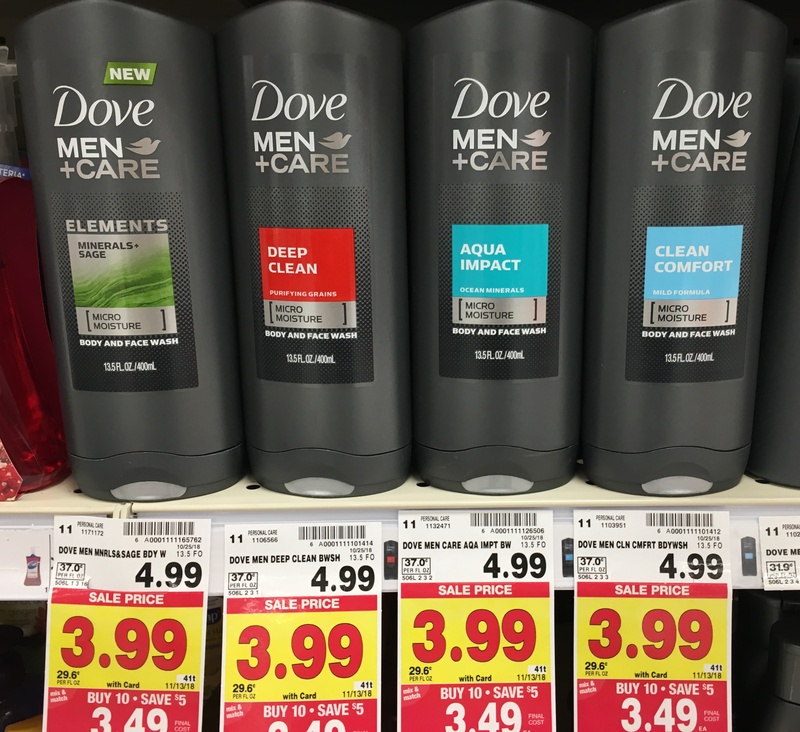 My middle son is the black sheep of the family in that he prefers Dove Men+Care products, so you can bet I hit this sale to get him stocked up today! They’ve got an excellent assortment of hair care products that are designed to withstand the brutal heat and humidity we have going down right now, as well as the frigid cold and snow that’s just around the bend. Dove Men+Care 2 in 1 – Anti Dandruff — Dandruff is a common issue for men. To combat it, try Dove Men+Care Anti-Dandruff Fortifying 2-in-1 Shampoo and Conditioner to eliminate flakes. This anti-dandruff shampoo for men helps to prevent flaking* and improve scalp health, making your hair stronger and more resilient. Dove Men+Care 2 in 1 – Fresh Clean — Dove Men+Care Fresh & Clean Fortifying 2-in-1 Shampoo and Conditioner provides a deep, refreshing clean. Enriched with caffeine and menthol, this 2-in-1 shampoo for men washes away dirt and grease, with an energizing and refreshing effect. Dove Men+Care Elements – Charcoal — Harness the purifying benefits of charcoal with Dove Men+Care Charcoal Fortifying Shampoo. Engineered for men, this charcoal enriched shampoo leaves hair visibly healthy and invigorated. All of these products are priced at $6.69 at my store this week, making them just $5.02 each. 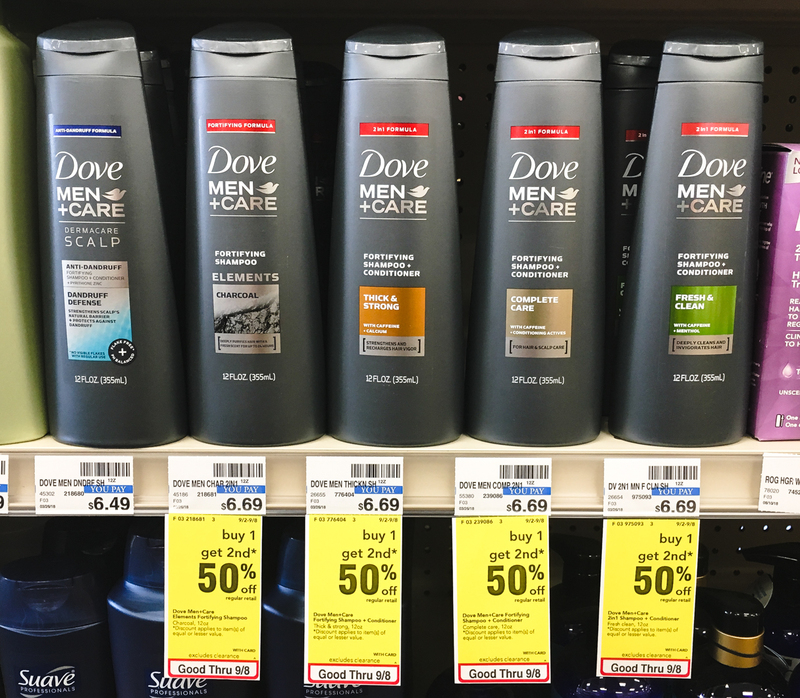 Dove Men+Care Styling Products are also part of the sale this week. My son loves the strong hold that the Dove Men+Care Control Gel provides! 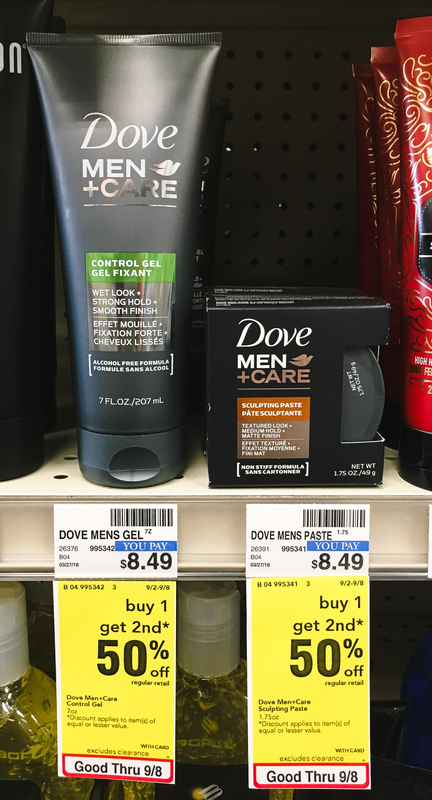 I was tempted to pick up the Dove Men+Care Styling Sculpting Paste for my youngest boy. It claims to give a wet look with a smooth finish, which sounds like just what he’s been looking for. While I was there, I noticed that the Dove Men+Care Body Foaming Body Wash is also included in this sale. 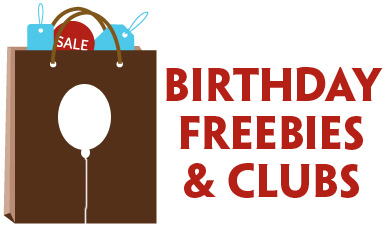 There’s a $2 off coupon available right now that you can stack with this offer! $4.75 ea. wyb 2 after coupons and sale! 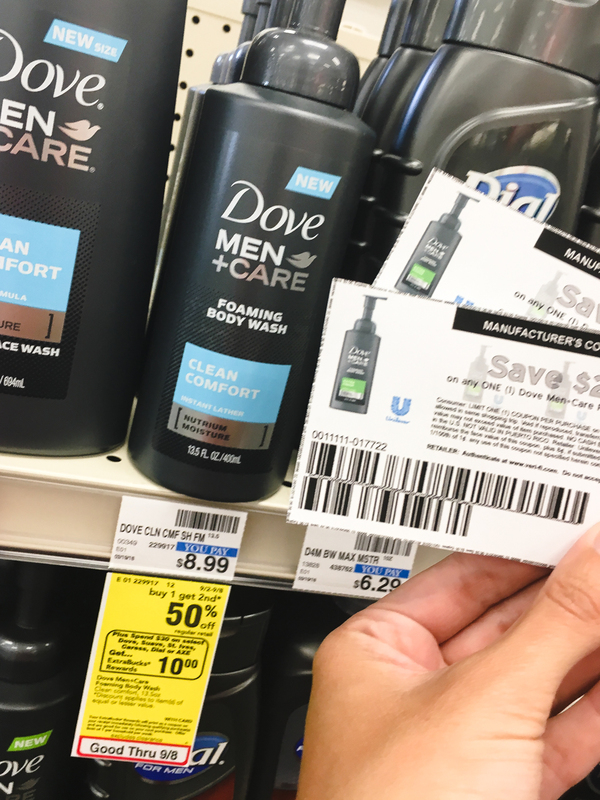 But don’t wait — the BOGO 50% off Dove Men+Care with your CVS Card offer is only valid 9/2/18-9/9/18!